Arrive Algiers and transfer to hotel overlooking port in central Algiers. Tombeau de la Chrétienne (Mausoleum of Mauritania), Cherchell (archaeology museums) and World Heritage site of Tipasa on Mediterranean: amphitheatre, 4th century basilica, forum, museum. Dinner in Algiers in former Turkish baths. Early morning departure by air from Algiers to Oran (Bey's Palace, 14th century fort of Merinid Sultan Abou Hassan) then drive to Tlemcen: 13th century Mosque of Sidi Bel Hassan, Great Mosque, 13th century ruins of ancient Mansourah. Overnight at hotel in central Tlemcen. Whole-Day in Algiers including: Bardo Museum, Museum of Antiquities and Islamic Arts, UNESCO World Heritage casbah (lunch in private home, mosque, Arts and Crafts Museum), Notre Dame d'Afrique, Musée des Beaux Arts. Morning walking tour of central Algiers: Place des Martyrs (17th century El Djedid Mosque), Place Emir Abdelkader (panoramic square with statue of founder of Algerian nation), neo-Moorish Grande Poste, esplanade. 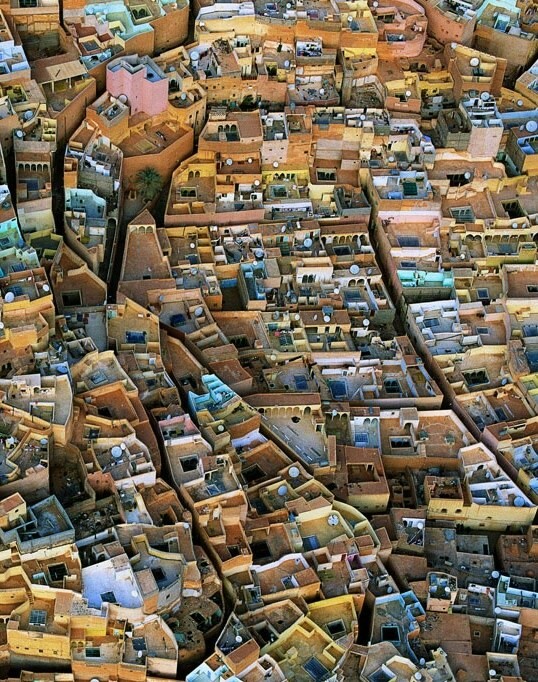 Afternoon: depart by air for Ghardaia (one of five UNESCO-protected Saharan towns that occupy the M'Zab valley) for three nights at oasis just outside Beni Isguen. Depart further into Sahara via Ouargla (Museum of Desert Life) and Temacine (picturesque mud-brick village built around a castle) for El Oued ("city of a thousand domes") for overnight stay. Depart for Tébessa (Theveste): small local museum, late basilica, Byzantine fortifications, amphitheatre, arch of Caracalla, Temple of Minerva, French market. Overnight at in Tébessa. Medracen (Numidian royal tomb followed by UNESCO World Heritage site of Timgad (huge library, colonnaded streets, temples, amphitheatre, arch of Trajan, basilica) then Roman garrison town of Lambaesis (amphitheatre, praetorian guard). Continue to Constantine for three nights. Whole-day excursion to UNESCO World Heritage site of Djemila (ancient garrison of Cuicul): forum, temples, basilicas, triumphal arches, superb mosaic museum followed by Sétif (archaeological museum with splendid Bacchus mosaic). Delightful Roman site of Tiddis (monumental gate, baptistery) perched on hill followed by Constantine: museum, casbah, suspension bridge, Palace of Ahmed Bey. Depart for Annaba: 19th century Basilica of St Augustine followed by ancient settlement of Hippo Regius (seat of St Augustine) and visits in Annaba (cours de la Révolution, corniche, casbah, Cap de Garde). Overnight on coast just outside Annaba. Return to Algiers by air for overnight or connecting flight.